A 19th-century economist named Adolph Wagner made a prediction that came to be known as Wagner’s Law: As societies became wealthier, their taxes would rise. They would rise because people would want more of the services that government tended to provide better than the private market, like national security, education, medical care and a guaranteed retirement. Wagner’s Law has proven truer than not, but there are still many people who would like to pretend otherwise. Specifically, they wish we could summon a country with a strong military, good schools, health care and comfortable retirements — but falling taxes. It’s a nice fantasy. 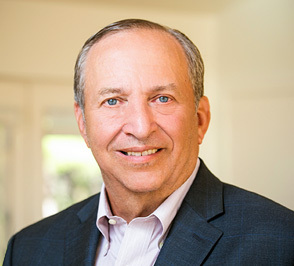 Yesterday, Larry Summers, the economist and former Treasury secretary, gave a lunchtime presentation in Washington laying out the statistics that debunk the falling-taxes fantasy. He effectively updated Wagner’s Law for the United States in 2017. • One, society is aging, which calls for greater spending on retirees. The ratio of elderly Americans — those expected to be in the last 15 years of their lives — to all other Americans will rise about 50 percent from 2010 to 2030. • Two, inequality has soared, with living standards stagnating for the middle class and poor. Taxes push back against inequality. • Three, labor-intensive services, like education and medical care, have become more expensive, and they also tend to be the areas where the government spends money. • Four, American military spending has not kept up recently with the spending by our main rivals, including China, Iran and Russia. This trend shouldn’t continue forever, Summers said. I find his case compelling. Even if you disagree in one particular area — say, you favor more private-sector education, or a weaker military — the combined costs are so large that the argument holds up. That’s part of the reason that taxes on the wealthy should rise, and big tax breaks — like those for home ownership and employer health insurance — should be reduced. I don’t mean to suggest that taxes should always be rising and that government will eventually take over the economy. Capitalism clearly has worked much better than any alternative. And there are times — for example, after a war or when a population is becoming younger — that taxes should fall. It’s also important to cut government where it’s wasteful. But believing in capitalism is different from believing that government cannot grow. Modern capitalism depends on a well-functioning government. Capitalism has already grown a lot over the last century, across this country and much of the world, and the world is a vastly richer place than a century ago. For more details on the numbers, I recommend a new paper by Paul van de Water of the Center on Budget and Policy Priorities, which hosted Summers’s presentation. I first learned of Wagner’s Law from the writer Matt Miller. In North Dakota yesterday, President Trump tried his best to summon a magical world in which life keeps getting better and taxes keep falling. His pitch “is divorced from reality,” Katrina vanden Heuvel says in The Washington Post. Richard Rubin of The Wall Street Journal called the speech a big step away from tax reform and toward a simple tax cut. Remember: If Trump succeeds in cutting taxes for the wealthy, taxes for everyone else will eventually need to rise even more.